Because this is a dog year in the Chinese zodiac, and because dogs are now helping sniff out looted artifacts from Iraq and Syria, plus I love dogs, it seems a good time to talk about how Sumerians, Akkadians, Assyrians, and Babylonians–Mesopotamians–were all major dog people. It is commonly believed (and seemingly supported by tangible evidence to an amateur) that soon after the dog (ur-gi in Sumerian) was first domesticated, the dog collar was developed in Egypt. But, as with a lot of things, it is actually ancient Sumer where that took place. Well, who am I to argue? Regardless of where dogs first began donning collars and getting led on leashes, Mesopotamians domesticated dogs for practical purposes like everyone else; security for their dwellings and their herds, as well as hunting. But as we will find out, that package came with a lot more perks, and as we know…it was pretty freakin’ great. But let’s start at the beginning of this relationship. To enter an ancient Mesopotamian city or village was to see collared dogs roaming freely, cleaning up carrion messes while guarding those human dwellings, along with the assets essential to their survival within them. They wore collars, because though they spent their days roaming free, they each had a master who cared for them and considered them the family pet. Such an arrangement created the perfect environment in which the relationship between humans and dogs went beyond that of practicality and became one of companionship and love, the relationship all dog people have with their pooches today. Further descriptions of the types of dogs found in Mesopotamia come from inscriptions such as one from the Ur III Period (2047 – 1750 BCE), describing large mastiff-like creatures coming into the city with their handlers, wearing thick collars and leashes that one can only guess were made of leather. 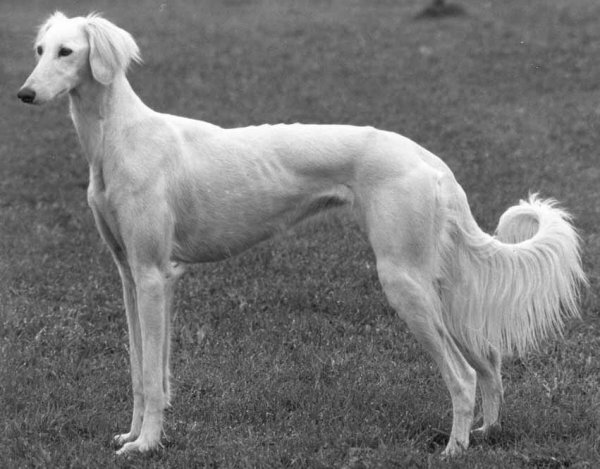 For a clearer picture of what the dogs of Mesopotamia looked like, here is this simple video. Pretty much all depictions of dogs from Mesopotamia showed them wearing collars, all of which were wide to protect the animal’s neck. The earliest version of the collar was probably just rope that was wound around the dog’s neck multiple times (as in the image above) or a piece of sturdy cloth, which then probably evolved to the leather version I mentioned earlier. According to Mark, though people from all rungs of the social ladder owned dogs in ancient Mesopotamia, dogs belonging to masters of the upper class wore collars that not only bore their names, but also their masters’. The significance of the collar goes beyond its practicality, then. Mark, in the “Dogs & Their Collars in Ancient Mesopotamia” article, writes that the dog collar also served as a sort of testament to people’s inclination to spoil their pooches whom they felt were worthy of such an accessory. When looking at all there is to look at, whether art or any kind of literature featuring dogs from ancient Mesopotamia–and especially knowing their collars sometimes bore their names–it’s easy to see that the status of our best friend was high in more ways than one. Today we have our pooches’ pictures on our phone lock screens, and that’s just scratching the surface of how we worship them. Well, Mesopotamians worshiped their dogs, too. Sometimes literally. Sometimes by having their image on the equivalent of the Mesopotamian phone lock screen – cylinder seals. Cylinder seals were used to identify individuals in writing, like a signature. Dogs making it into a person’s signature further drives home the importance of the intimate relationship people had with their dogs. Dogs were first and foremost domesticated for practical purposes, but alongside the universal ones, Mesopotamians got a few extra magical ones. They equaled, and were synonymous with, protection, not just in the practical ways in which we still rely on them, but also in the spiritual and supernatural sense; they protected humans against angry gods, ghosts, evil spirits, and demons. The labyrinthine pantheon Mesopotamians worshiped, and their belief that every deed done or not done counted and every action had a reaction, made them take very practical and serious measures to protect themselves from any vengeful gods, or worse, demons. Along with incantations and prayers, physical objects were produced as a line of defense. 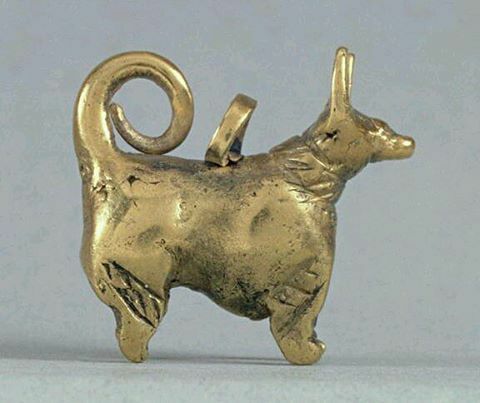 The golden dog pendant pictured above is a protective amulet that was worn or carried by its owner. In the ruins of Nineveh, dog statuettes with inscriptions saying they are for protection were found buried beneath an entrance to the North Palace. At the city of Kalhu (Nimrud), five dog figurines made of clay, known as The Nimrud Dogs, were also found with the same kind of inscriptions identifying them and their purpose. It was during Hammurabi’s reign (c. 1792 – 1750 BCE) that the practice of creating clay or bronze figures of dogs took off in ancient Mesopotamia, not to be cute and have the likenesses of pets to decorate with, but for security. Such sacred knickknacks were buried in multiples beneath entrances to buildings, including those of palaces, as mentioned above. Rituals preceded these burials, during which incantations were recited to awaken the protective spirit of the dog in the object being buried. In her book, The Healing Goddess Gula: Towards an Understanding of Ancient Babylonian Medicine, Barbara Böck writes about Lamashtu, a demon whose “specialty is killing babies,” among other horrible things. To protect their babies from Lamashtu, Mesopotamians called on Gula and her dogs. Gula, among other things, was the goddess of healing and dogs. She is always either depicted with a dog at her side (as shown above) or as a dog herself; it was during the Old Babylonian Period (c. 2000- 1600 BCE) that her symbol became simply the dog. You’ll note that Gula is primarily the goddess of healing, though she wears a few more hats, including that of being the goddess of dogs, but what do those things have to do with each other so that they exist in one deity? Well, dogs were the sacred companions of Gula because they were healers themselves. The saliva of dogs, which Mesopotamians observed could heal wounds, was valued as medicine. Another part of Gula that the Mesopotamian view of dogs drew from is the fact that the goddess was also associated with the underworld and transformation, things people experience after death. Dogs in this context were the companions of the dead on their journey to the afterlife, where they might have to face demons or other unsavory characters they need protecting from. [He saw…] but pretended not to notice it. He saw a wounded dog but he pretended [not to notice it]. Keep in mind, we’re talking about a deity associated with the underworld, which means it’s best to not anger her, or you might need to find another way to protect yourself from harm. And you might as well forget about a dog coming to your rescue then. Domesticated dogs in collars and on leashes also made plenty of appearances in Mesopotamian literature. Samuel Noah Kramer, author of History Begins at Sumer, wrote that dogs are referred to in 83 proverbs and fables. In The Epic of Gilgamesh and The Descent of Inanna, we see that Gula was not the only deity accompanied by dogs. In the former, the goddess Inanna (Ishtar) makes her appearance accompanied by seven hunting dogs wearing collars and being led on leashes. In the latter, the god Dumuzi (Tammuz) keeps a royal retinue that includes domesticated dogs in the underworld where he resides. These dogs are the protectors and companions of these deities, and especially in the case of Inanna, who was often called upon for protection. The dogs were that extra level of divine protection. As Kramer notes, according to Mark, along with such elevated roles in mythology, dogs were also the subject of fables that showcased loyalty, unconditional love, and the protective nature of our best friends to impart wisdom, as fables do. In fact, some of Aesop’s fables were not his at all, but rather Sumerian ones written centuries before Aesop (c. 620 – 564 BCE) was even alive, but that’s another topic for another time. Two such fables were, Why the Dog is Subservient to Man and The Show Dog, which are summarized quite well here, but essentially highlight the attributes of dogs, such as loyalty, unconditional love, and fierce protectiveness. The interesting aside I want to point to is that Mesopotamians had dog shows, and this is something that, according to Kramer, helps support the idea that domestication and the collar in Mesopotamia predated those things in Egypt. At Gula’s most prominent temple at Isin, where dogs considered sacred roamed and were taken care of by the priests and priestesses there, underneath the ramp leading up to the building, 30 actual dogs were found buried. Böck writes that although the dogs might have been sacrificial, it is also possible they were just the sacred dogs of the temple whose burial was simply a way to honor them after their natural passing, as Gula liked. Of course, I choose to believe the latter option. I choose to believe the latter option, because I can’t imagine that even in the harsh world of antiquity, where live animals were often buried with their owners in order to accompany them to the afterlife, anyone could stomach a stand-alone sacrifice of a protector, healer, and best friend. I choose to believe that the dog has always, from day one, held a large chunk of humanity’s collective heart. I choose to believe we’re all dog people if we all knew what our ancestors figured out about the creature that is love itself. The Great Ziggurat of Ur is one of the most recognizable monuments in the history of Mesopotamia, as well as the world. To this day, the iconic step pyramid, with its 4,000+-year-old original foundations still intact, supporting relatively recent restorations, can be visited at Tell al-Mukayyar, near the modern-day Iraqi city of Nasiriyah, just a little over 200 miles south of Baghdad. The Ziggurat of Ur was originally built in 2100 BC, by King Ur-Nammu, who dedicated it to the moon god Nanna, Ur’s patron deity. The structure’s measurements, consisting of mud brick, baked brick and bitumen to hold it together, are 210 ft. (64 m.) in length, 150 ft. (46 m.) in width, and its height is speculated to have been over 100 ft. (30 m.). By the 6th century BC, the Ziggurat had crumbled, and King Nabonidus, the last king of the Neo-Babylonian Empire, took it upon himself to order the restoration of the great shrine. Thank you, King Nabonidus! 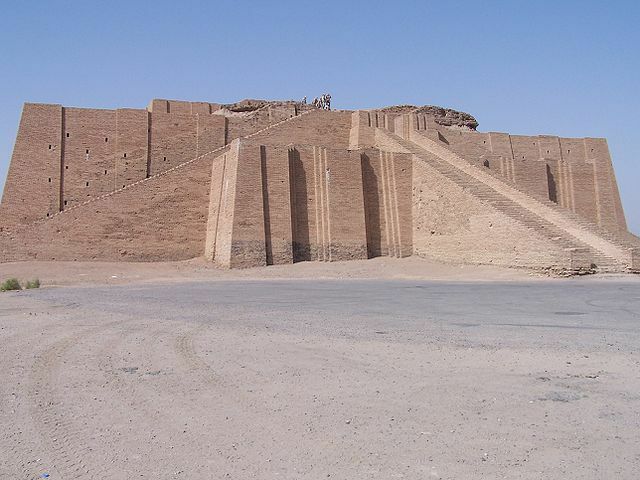 The Ziggurat of Ur has seen much since it was built thousands of years ago, including the recent wars in Iraq, which did damage it some, but the iconic structure still towers over the land where it stands today. Now, let’s marvel at this iconic piece of history through the years, with pictures, from the early 19th century AD, when it was first described, to the present day. 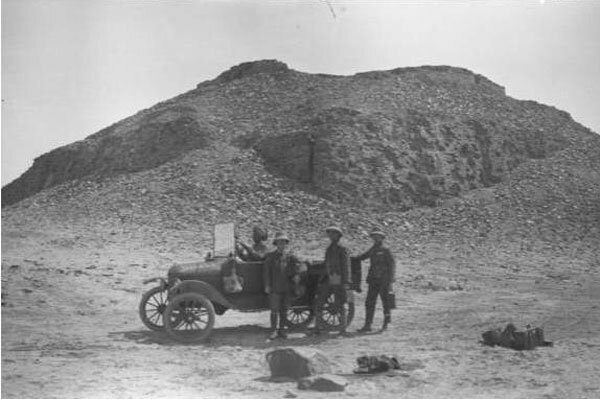 The Ziggurat in the 1920’s, as Sir Leonard Woolley saw it. The Ziggurat of Ur in the late 1920s. The Ziggurat of Ur in 1967. 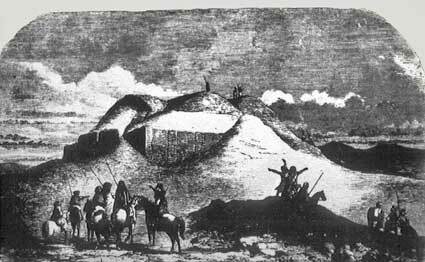 The Ziggurat of Ur, also in 1967. The Ziggurat of Ur in 1972. The Ziggurat of Ur in the 1980’s, partially rebuilt by Saddam Hussein. The Ziggurat of Ur in 2012. *Update: We originally had a picture from the 1930s, but the link is dead, so we took it out, as we could not find any other from that time we can attribute or be sure is from that decade.